Hyundai Motor Group, the world’s fifth-largest automaker, said Tuesday it would invest about 81 trillion won ($73 billion) over the next four years to improve facilities, expand production lines, develop core technologies for smart and green cars, and construct its headquarters building. Under the investment road map, the automaker is expected to spend an annual average of 20.2 trillion won through 2018, which would surpass its previous high of 14.9 trillion won in 2014. Hyundai Motor’s new investment plan came one day after President Park Geun-hye called on conglomerates to expand investments in order to bring about an economic turnaround. “We will make an unprecedented amount of investments by 2018 to lay the groundwork for us to become a global leader in all aspects, including production capacity, quality competitiveness, technology power in core fields and brand value,” the carmaker said in a press release. “In particular, we will focus our investment here on the domestic market in a bid to help bring about (local) economic effects, create jobs and contribute to stimulating the national economy,” it added. Some 76 percent of the new investments will be allocated for Korea. Hyundai Motor Group will spend the most on building new plants, allocating 49.1 trillion won for this purpose. It will spend 31.6 trillion won on research and development projects. The large-scale R&D investments are aimed at obtaining key technologies needed to produce eco-friendly and smart vehicles, which are expected to see intensified competition, according to the group. Regarding investments in future car development projects, the company will invest 11.3 trillion won by 2018 to develop eco-friendly vehicles such as hybrid electric cars and fuel cell vehicles. Talent acquisition is also a crucial part of Hyundai Motor’s new investment plan. The company will hire 7,345 R&D specialists over the next four years. To enhance its brand value, the group said that it would expedite building the Global Business Center on a 10.55 trillion won plot of land in southern Seoul. 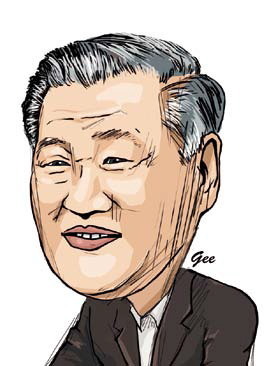 Last week, Hyundai Motor Group chairman Chung Mong-koo said that it would construct a 105-story headquarters building in the complex. In September last year, the auto giant purchased the 79,345-square-meter piece of real estate ― formerly the site of the headquarters of state-run Korea Electric Power Corp. ― in affluent Samseong-dong, southern Seoul. The purchasing price for the land was close to triple its appraised value.